This anthology is a selection of writings of Dr Kapila Vatsyayan’s nearly four-decade long journey as an art critic and art historian. 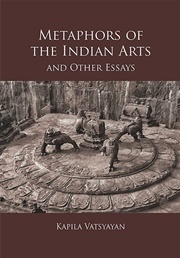 It reveals the distinct nature of Indian arts from the angle of the world-view in which they emerge. At the same time, it amply shows the theory of art and aesthetics which may enable us to “to see the other traditions of art from our own window”.